Anytime is a great time to add basil to your recipes! Fresh from the garden, or indoor garden, paired with tomatoes or other produce, basil adds a great burst of flavor. The highly fragrant herb is related to peppermint and comes in many varieties to give added depth and options to your recipes. Basil plants are generally green, however some varieties are purple. Basil plants such as lemon basil, anise basil, clove basil and cinnamon basil have unique flavors that are suggested by their namesake. Fresh basil is used in many recipes and is generally added toward the end of the cooking process. Most of the time basil is added at the last minute as cooking it too long tends to dilute the flavor. Many people are already familiar with basil as the main flavor ingredient in pesto – along with olive oil, garlic, and pine nuts. Yet the possibilities for adding basil to your recipes is nearly endless. Basil is best when used fresh from your kitchen garden, although fresh cut basil can be kept in the refrigerator. To store basil, wrap it in damp paper towels and place in a plastic bag and put it in the refrigerator. This will keep fresh basil for about four days. Or you can place the basil, stem down, in a glass of water with a plastic cover. This will keep the basil for about a week if you change the water on a regular basis. For longer term storage, basil can be blanched quickly in boiling water and kept in the freezer. Although when dried, basil loses much of its flavor, and the taste may be significantly different. 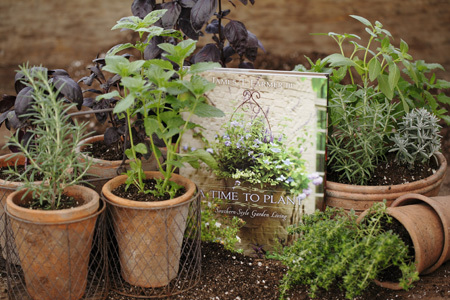 Dried basil can be kept in a cool, dark place for up to six months. A study by Purdue University showed that basil is rich in antioxidants, has anti-aging properties and can help to reduce inflammation and swelling. Basil is rich in vitamin A, vitamin K, vitamin C, magnesium, iron, potassium, and calcium. 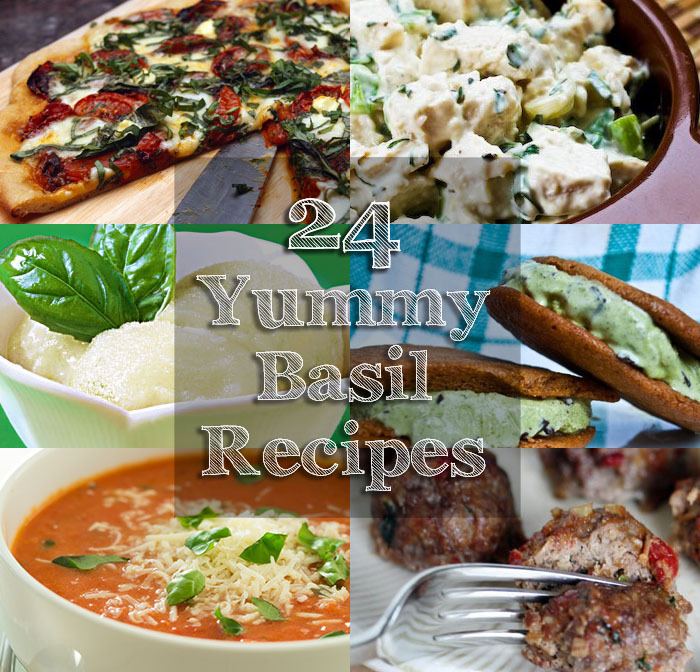 Below are 24 of of our favorite basil recipes found around the web. If you’re into the paleo or primal lifestyle, Whip up this tasty, grain-free breakfast treat. It’s easy. It’s healthy and it tastes great. 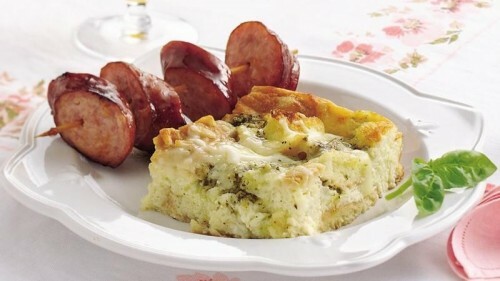 Pair this tasty egg casserole with kielbasa. Even better you can make it ahead of time so there’s less preparation in the morning. After working, taking care of kids, and running errands, the last thing almost anyone wants to do is figure out what is for dinner. Instead of spending more money on unhealthy food, have a few easy and healthy go-to weekday dinner plans. Cooking does not have to be difficult, and summer is just around the corner. 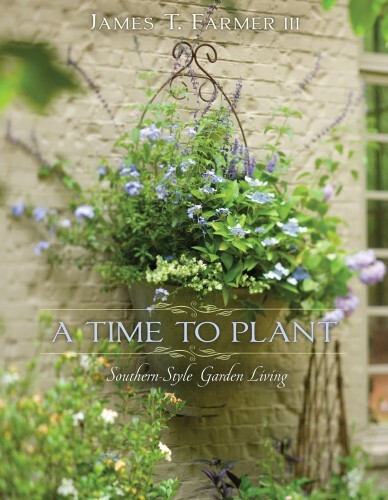 It is time for farmers markets, fresh tomatoes, and basil in your garden. 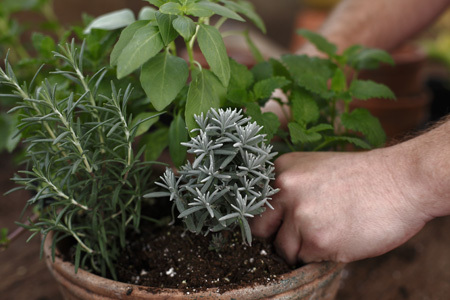 Enjoy your summer dinners by using fresh herbs such as basil to make your meals easy, tasty, and nutritious. 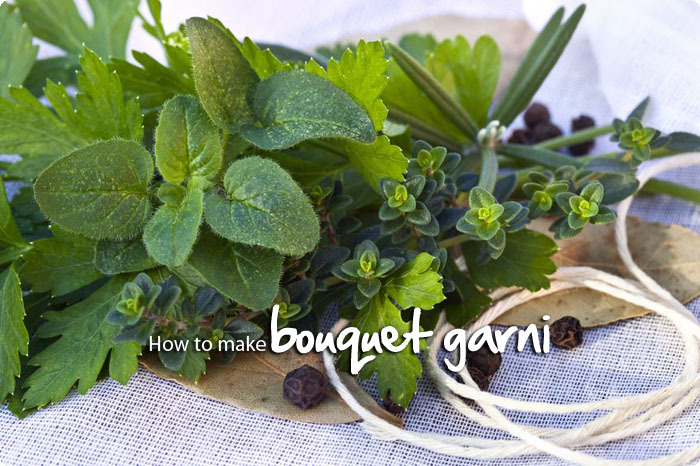 Instead of having to hit the store every day, get fresh herbs straight from your garden. Below are three easy and healthy basil recipes. Cooking does not get much easier than this. 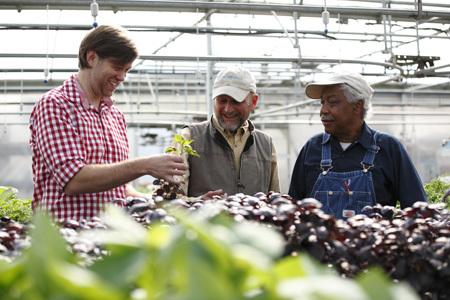 Note that it is important to use ripe tomatoes that are in season. The recipe can easily be adjusted to serve between two and several dozen people. Shortly before serving, slice the tomatoes and arrange them on a plate facing up. Lightly drizzle the olive oil and balsamic vinegar on the tomatoes. Top the tomatoes with the basil. Season with salt and pepper to taste. Pesto sauce is a way to make spring and summer pasta dishes more festive. When stored in airtight containers, this sauce will last about 6 months in the freezer. Freezing sauce in individual containers is highly recommended as the sauce takes time to make and is better when made in larger quantities. Boil basil leaves for 5 seconds or until wilted, drain, squeeze out excess liquid, and set aside. Blanche the garlic. Coarsely chop the basil. Place the basil, garlic, pine nuts, and olive oil in a large bowl. Use a hand mixer to blend into a coarse sauce. Stir in the cheeses, and season with salt to taste. Put extra sauce in small airtight containers for later use. The easiest way to turn pesto sauce into a complete meal is to make quick pasta. By having extra sauces on hand, dinners can be as easy as boiling pasta water and reheating the sauce in a microwave or on the stovetop. Homemade sauces are quick and easy in addition to being cost-effective. This recipe tastes very similar to a traditional Alfredo Sauce. By using yogurt instead of heavy cream, this pasta is healthier without sacrificing taste. The fresh basil and feta give this dish more interesting and subtle flavors along with a great, creamy texture. Eliminating the chili flakes can make this dish more kid-friendly. For people that like more of a kick, extra hot Syrian or Turkish chili flakes can make the dish even better. Place the Greek yogurt, olive oil, and ¼ cup of the peas into a food processor. Blend into a uniform sauce and transfer to a large mixing bowl. Cook the pasta according to the directions until al dente. Fry the chili flakes, pine nuts, and some of the peas in olive oil for about 4 minutes. Drain the pasta and shake well. Add the pasta gradually to the yogurt sauce while stirring constantly to avoid curdling. Note: adding the pasta all at once might cause the yogurt sauce to split. Immediately before serving, add the basil, and feta. Season with salt and pepper to taste. As a last step, pour the pine nuts and oil mixture over the top of the dish. One of the best ways to make healthy food taste better is to put in a little extra effort and add herbs such as basil instead of preservatives. Take advantage of summer produce that is readily available. Who knows? 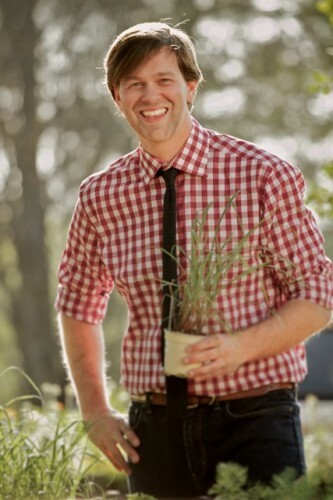 You might fool the guests at your next dinner party or potluck into thinking that you went to culinary school by understanding flavor profiles and cooking easy, delicious food with fresh herbs from your garden. What Is Marjoram And How Can I Use It? Whether you are a veteran chef or you are just learning how to cook, you are sure to benefit greatly by adding herbs to your list of favorite cooking ingredients. Foods that are cooked with herbs simply taste better. 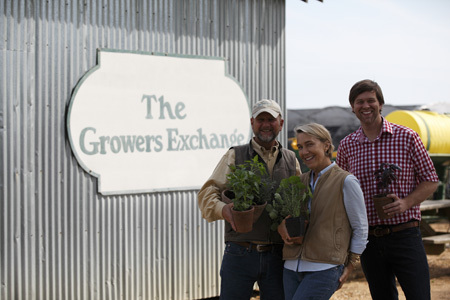 When first starting out on your culinary journey, it can be intimidating to look at the vast array of herbs available at the grocery store or farmer’s market and know what to do with them. It is best to do some research on different types of herbs and sure fire food combinations to use with them that have been tried and tested. Some herbs are more common than others. 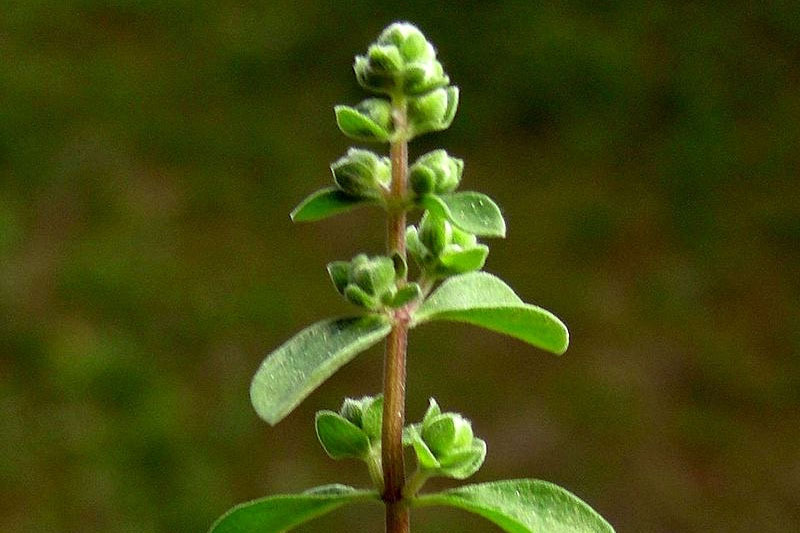 For example, you may have heard of the herb thyme, but perhaps you have never heard of the herb marjoram. 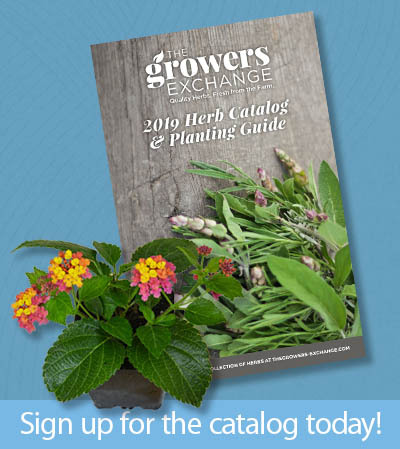 If you have a pre-packaged herb and spice rack in your kitchen with a little bottle labeled “marjoram”, you may have asked yourself the question, “What is marjoram and how can I use it?” Of course we always prefer fresh herbs, and you can purchase marjoram plants online directly from our store. 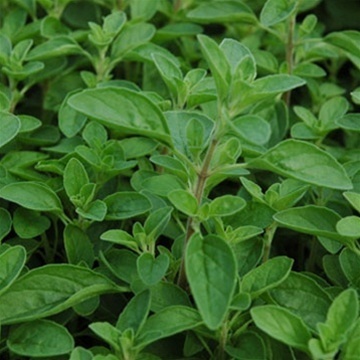 Marjoram is an herb in the mint family that is commonly mistaken for oregano, although it has a milder flavor. Many say that it has a slight taste of citrus and sweet pine. It grows wild in Mediterranean countries such as Cyprus, Turkey, and Greece, and is a popular additive to their sauces, soups, and meat dishes. Because marjoram is a perennial, it can live for several years. However, it typically does not survive cold temperatures. If you decide to grow marjoram on your own, you may need to replant it in a pot during the colder months, depending on where you live. 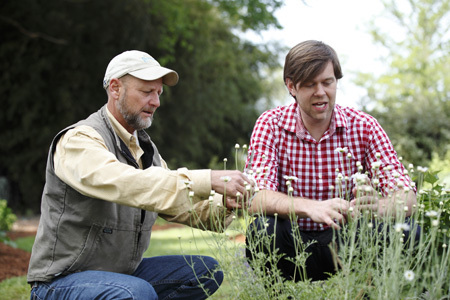 This herb prefers full exposure to the sun and is best planted in well-drained soil where it has room to spread. How Can I Use Marjoram? 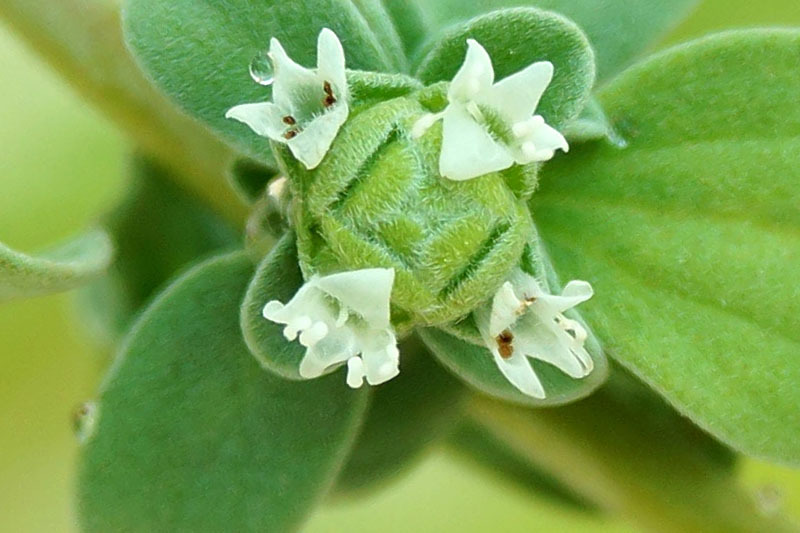 The herb marjoram is often used in body care products such as soaps, lotions, and shaving gel. It is sometimes made into an essential oil used in aromatherapy treatments because of its apparent ability to sooth one to sleep and reduce stress. Some other proposed benefits of Marjoram include its ability to relieve flatulence, nausea, cramps, and swelling. 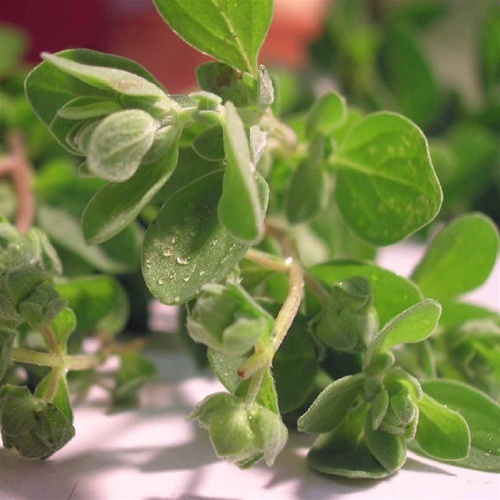 Aside from marjoram’s health and beauty uses, it also has many culinary uses. Both fresh and dried leaves can be used to season foods with its mild, bittersweet taste. It is often included in the popular English dish of roast goose with chestnut stuffing and in German cooking as a part of a spice mixture added to sausage. In most recipes, you will see marjoram called for in combination with other herbs and spices such as oregano, basil, and parsley. Try the following recipes or experiment with some of your own in order to get a taste of marjoram. The night before, cover black-eyed peas with water and soak them for at least four hours. Drain, place in a large pot, and cover with about 3 inches of water. Simmer until the peas are cooked through, salting generously in the last ten minutes of cooking. While the peas are cooking, heat the olive oil over medium heat with 1 tablespoon of the butter in a large pan. When hot, add some salt and stir in the leeks. Cook gently, stirring frequently until the leeks appear golden. Add the peas to the skillet. Cook until heated through, and then stir in the marjoram, tarragon, some salt, and the remaining 2-3 tablespoons of butter. Prepare a charcoal grill or a gas grill to medium-high. Make 3 diagonal slices spaced about 1 1/2″ apart on each side of fish. Season fish with salt and pepper to taste. Stuff each fish with 4 herb sprigs and segments from 1/2 orange. Rub each fish with 1 tablespoon oil. Grill fish for 3-4 minutes, or until skin no longer sticks. Carefully turn fish and grill until cooked through, about 3-4 more minutes. Transfer to platters and garnish with remaining marjoram leaves and orange segments. Using marjoram in health and beauty care or in cooking is a great way to explore this less-often used herb. As you try out other uses for marjoram in recipes and in everyday life, you are sure to be delighted by its unique aromatic properties.